The Taraf’s surfacing is uncluttered, its detailing not overwhelming and the overall proportions are spot-on. 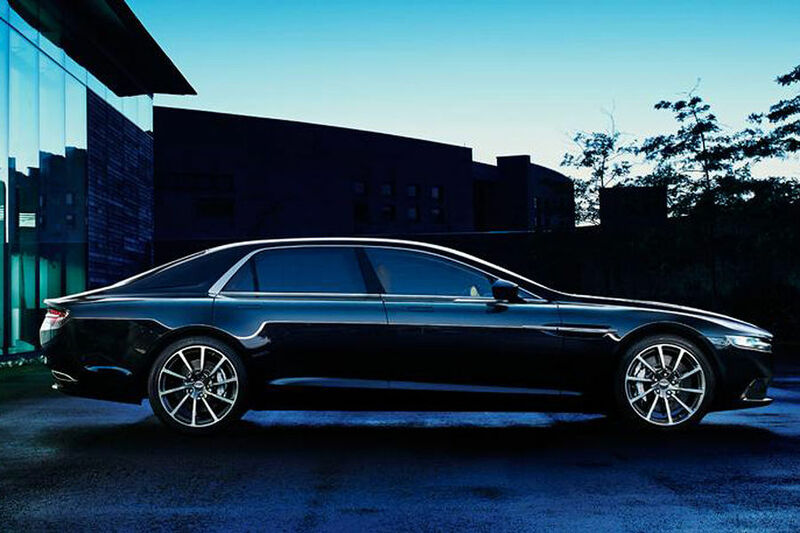 An unexpected, yet welcome surprise, one might conclude – before setting sights on the Lagonda’s interior. Like the appalling second generation Vanquish, the Taraf’s seats feature welts and stitching that are, aesthetically dubious, to say the least. Fabricating these welts may very well be a masterclass in artisanship that the mass manufacturers have yet to learn replicating – unlike the classical stitching – but effort does not necessarily equal taste. 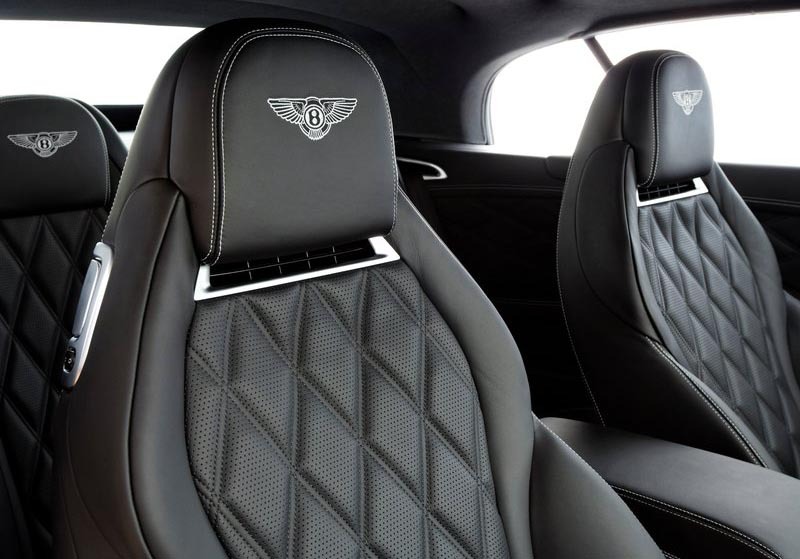 Bentley is trying something similar with a kind of diamond shaped double stitching, garnering less offensive, yet still somewhat vulgar results, which – of course – leaves it to Mercedes to try and one-up its British technology partner. 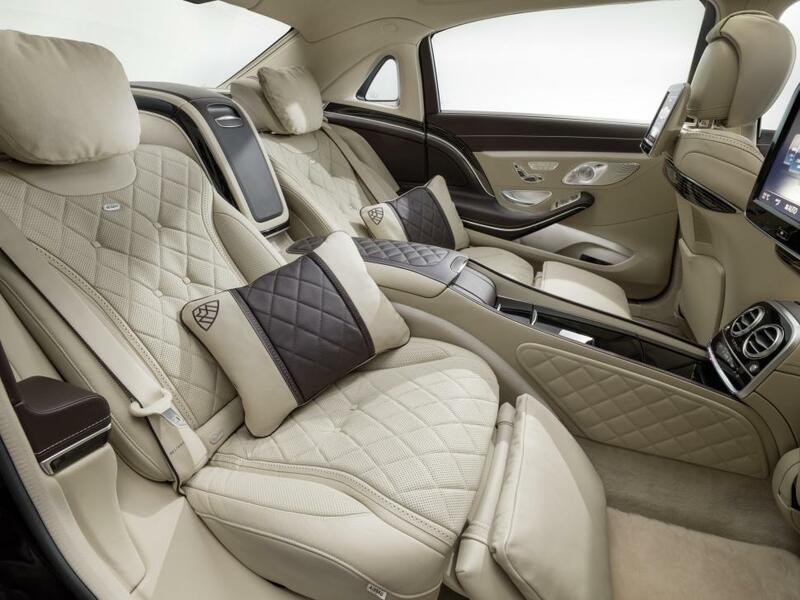 As the recently unveiled Mercedes Maybach S600 proves, Gorden Wagener is up to the challenge with an interior featuring eczema levels on par, or even besting Aston’s finest efforts. Intriguingly, the company rather more closely associated with brashness than both Aston Martin and Mercedes has yet to join the furuncle game. To the contrary, Rolls-Royce has actually gone to the other extreme and is offering an option for its Phantom Drophead Coupé that deletes any visible stitching and seams from the seats. Which could be seen as the more radical answer to the proliferation of a former symbol of luxury. A queer business, this upholstery lark. I’d say this was a sign of decadence, but maybe quite the opposite. In my day, one of the many benefits of being extremely rich was being driven around by a discreet chauffeur whilst completely naked. I can only imagine that this style of upholstery would leave the most obvious marks on your skin. Are today’s plutocrats more demure and remain clothed at all times? Though maybe not. I could foresee a certain type of social occasion, as evinced by your namesake, Kris, in his oeuvre Eyes Wide Shut, where your equally naked peers might turn to you with one eye cocked and say ‘I say old chap, I can’t help but notice that you’ve got the new Taraf’. My first thought when presented with the Vanquish II’s interior in real life for the first time was ‘hopefully it’s not contagious’. 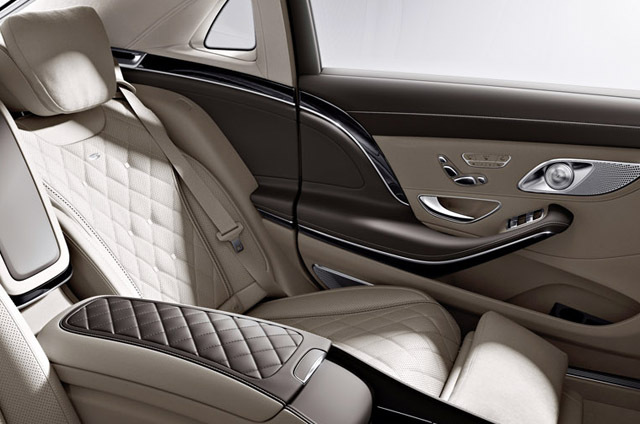 It seems as though the Maybach S600 has caught a mutated variant of the disease. The Aston’s profile is rather nice. I like the vestigial boot. We must remember that at this price level, many customers will choose something else. I’d go for box pleats. Mercedes are an embarassment. That interior looks vile. Rolls Royce show the way to go: simplicity. Like anything on this planet, if your overdo, it turns bad. A small patch here and there would have made the interior look good, but the way its splashed everywhere makes it look tasteless. Not that the targeted clientele (middle east) are known for restrained taste. Isn´t it remarkable how quickly design tastes have been reset by a Middle Eastern and Chinese preference for high levels of decoration. Given that these cars are pretty much hand-made, might not a bit of market differentiation be in order? And yes, I agree with Gordon. Small areas of these effects are acceptable, like a bit of parmesan on a pasta-dish. In this case, MB seems to have emptied a whole bag of their styling parmesan inside this car. Silly me forgot about the pillows. How could I possibly forget about the pillows? That diamond quilt pattern is a fad all over the high end market, and because it’s a fad and because it’s all over it will very fast be very much passé. And nothing ages faster than yesterdays fads. In ten years time, nobody will touch those interiors with a ten feet selfie stick. We used have to drive our Chevys all the way to Tijuana Mexico to get an upholstery job like that! 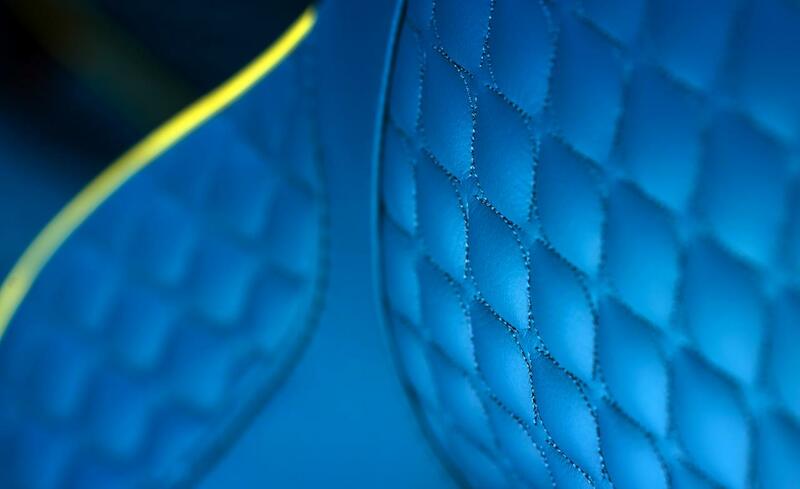 R&R’s smooth seat panels will show the way back. Maybe even to fabric interiors.